Amongst the aggregate trash at thrift stores occasionally one might find something that sticks out or even cries out to you. The sad part about thrift stores is that we’ll never know the story here. 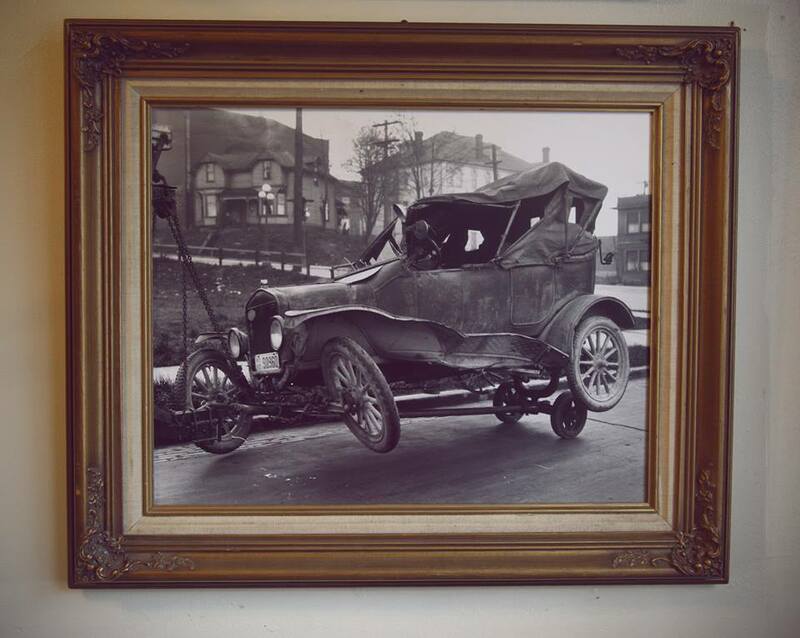 We’ll never know who was the guy that said, “Get a nice picture of the crashed model-T that dad died in. We’ll frame that sucker and hang it over the mantle and remember fondly that dark day in October when life changed forever!” Suffice that this huge blow-up of traffic mayhem will now hang above our mantle and despite being a mystery, will still bring us limitless joy whenever we should pass it.